Anxiety a feeling of unease worry or fear that can be mild or severe . While anxiety can help prepare or alert us to danger it can also lead to intrusive thoughts and concerns or cause avoidance of certain situations out of worry. Dental anxiety has long been recognised and has been associated with pain and is more common with intrusive treatments such as extractions, fillings, and nonsurgical root canal treatment (NSRCT). The aim of this review was to assess levels of pre-treatment anxiety in those about to undergo root canal treatment assess any changes with treatment and to identify any factors associated. Searches were conducted in the Cochrane Library, Medline, and PsychInfo databases. Studies reporting qualitative or quantitative data on anxiety associated with non-surgical root canal treatments (NSRCT) in adult patients were considered. Study selection and data extraction was carried out independently by 2 reviewers. Studies were assessed for quality. Data from 18 studies (1989 patients) was meta-analysed suggesting an average pre-treatment anxiety rating of 39 (SD, 9) on a normalized 100-point scale. 4 studies (232 patients) were included in a meta-analysis of post-treatment anxiety finding anxiety rating of 27 (SD, 5) on a normalized 100-point scale, representing a 30% reduction. Limited data indicated that gender, age, and prior NSRCT experience influenced NSRCT-associated anxiety. 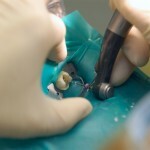 NSRCT-associated anxiety was ranked high among dental treatments, often close to oral surgery. This systematic review revealed that anxiety associated with NSRCT was generally moderate; anxiety decreased after NSRCT. Limited evidence suggested that anxiety is influenced by patient and treatment factors. Three major databases were searched for this review although only English language studies were included. The inclusion criteria were broad which resulted in a wide range of study designed being included. This included, randomised controlled trials, before and after studies, cross-sectional studies, retrospective cohort and questionnaires. Study quality was assessed using the Wong scale which generates a score with those achieving more than 18 being considered suitable. This type of score scales my not be the best approach to assessing study quality particularly when a variety of different study types are being included. As a wide range of study designs were included the decision to combine them in a meta-analysis is also questionable. The authors also note that a wide range of outcome variable were reported in the included studies and the study sizes were also small. While this review suggests that anxiety reduces following NSRCT the findings should be interpreted with caution because of the limited quality of the available evidence. Khan S, Hamedy R, Lei Y, Ogawa RS, White SN. Anxiety Related to Nonsurgical Root Canal Treatment: A Systematic Review. J Endod. 2016 Dec;42(12):1726-1736. doi: 10.1016/j.joen.2016.08.007. Review. PubMed PMID: 27776881. How much pain is experienced before, during, and after root canal treatment?